Story told in II parts by his mum Chloe, and re-told with the permission of his Aunty Casey. Our world was turned upside down last year. November 24th (2015) to be exact. A trip to emergency with what we thought may be a dehydrated 2 year old resulted in much more. Little Archie still hasn’t returned home. Currently we are day 70-something in the intensive care unit at John Hunter Hospital. 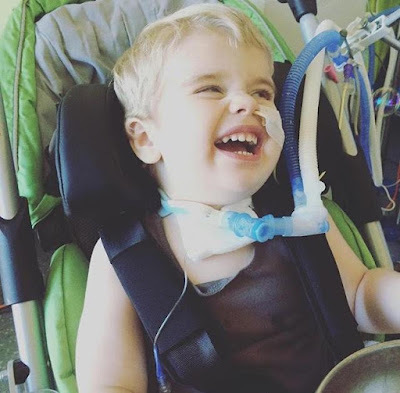 Fighting a very rare disease that has taken over our vivacious little guy’s life, forcing him to relearn how to move, swallow, talk and even breathe. It all started with a couple of days of a generally unwell child, something I thought was just a by-product of day care. Runny nose, loss of appetite and temps. Awakening in the middle of the night to a screaming child who was struggling to stand, vomiting and shaking meant a trip to emergency. Archie had to be intubated for the MRI and taken to ICU following the procedure. That was November 26th, and he is still ventilated in ICU today. In a different room with a much better view, but none the less, not home. The weeks following Archie’s admission were some of the scariest moments of our lives. But having said that, they are a complete blur. Days roll into one, doctor after doctor, nurse after nurse. Archie was a really sick little boy, that is the easiest way to explain it. We would find ourselves watching every number on every monitor, we learnt quickly we shouldn’t panic unless our nurse did, but we also learnt the lower the number the worse Archie would get. I wish I didn’t understand what was happening sometimes, but you pick up a thing or two being by your son's side 24/7. My son was on life support, there were moments when he would go blue in the face due to lack of oxygen, and they would have to ‘bag’ him to make sure we didn’t lose him. Archie has diaphragmatic palsy this affects the right side of his diaphragm, this basically meant the right side was limp, and he had trouble breathing, with the right lung often collapsing. This palsy was a result of the condition that Archie had yet to be diagnosed with. Archie also had strep pneumonia. Combine that with only one good lung and you bet things could go from okay to really bad within a matter of seconds. We even went through a period were he started having seizures. Perhaps due to panic or lack of oxygen. Luckily, neurologists can safely say they had no affect on his brain function, and they soon stopped. Eventually I stopped watching the numbers and started watching my son. I could tell immediately whether he was about to ‘desaturate’ and if they were unable to ventilate him they would have to start ‘bagging’ him. These are terms I had never heard of before, some kind of foreign language we heard on a daily basis. By this stage, they had carried out two MRI’s, a lumber puncture, nerve conduction studies and had done a round of IVIG and steroids to assist with the inflammation they had located in his spine. 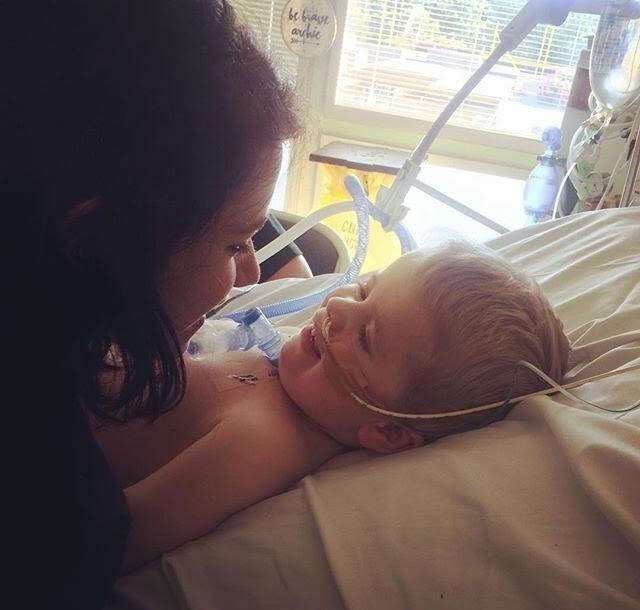 Initial thoughts were that Archie had Guilliane Barre, but following all these tests, they had moved more towards something called Anterior Horn Cell Disease and Acute Flaccid Myelitis. Which simply put, is a quick onset of paralysis due to an inflammation in the spine. Archie’s anterior horns and nerves had been damaged, and needed time to repair themselves. There have been only two cases in Australia that my neurologist was aware of (I’m sure there are likely more cases), and from what she could gather Archie’s was the most severe. By this stage Archie was unable to move his legs, his right arm, the right side of his face was paralysed, the right side of his diaphragm also paralysed and he had limited movement in his left arm. We were researching for as much information about treatment and recovery timeframes as we could, but it was becoming more and more obvious that there was no treatment for AFM, just supportive therapy. A lot of people have asked could this have been prevented? The answer is no. If you or I had crossed paths with this virus we may have just gotten a runny nose or felt run down. Archie’s body reacted in his own way. Whilst his immune system was fighting off whatever virus had entered his body, it was also attacking his own nervous system. Archie has tested negative to all viruses. By this stage we were given a name for what was wrong with Archie, but other than that, there was not much more that could be said. We are still in this position, we take every day as it comes and just help Archie in every way we can. 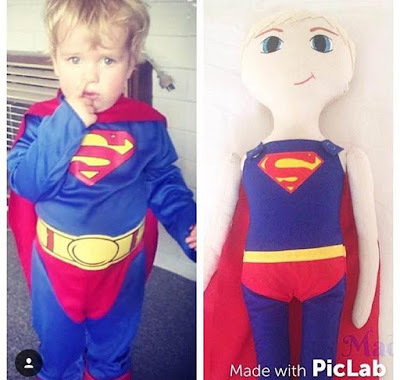 Will post about our milestones soon (via Instagram @archiesfight). I need to say the biggest thank you. Our hearts have been touched, we have received so much support and kindness from family, friends and complete strangers. 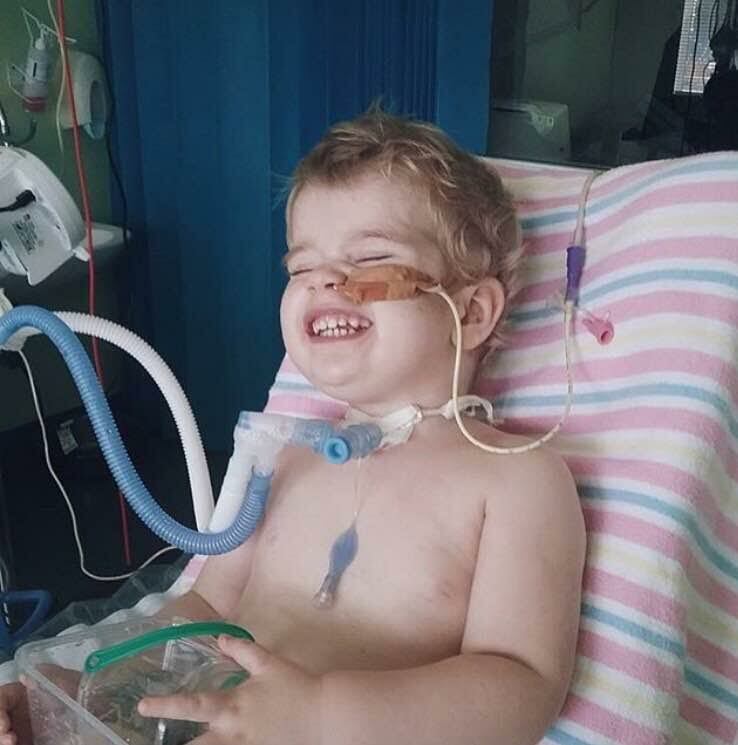 Archie is 2 years old from Newcastle NSW, Australia and has recently been diagnosed with Acute Flaccid Myelitis and Anterior Horn Cell Disease. 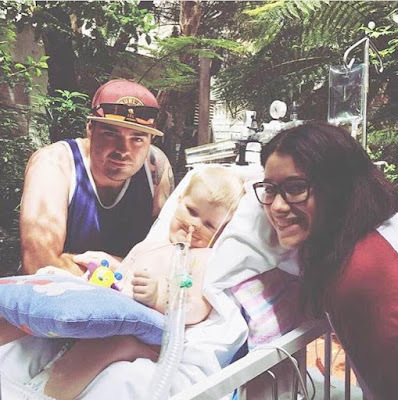 Archie has spent the last few months in the Intensive Care Unit at John Hunter Hospital in Newcastle. Acute flaccid myelitis (AFM) is a condition that affects the nervous system, specifically the spinal cord, which can result from a variety of causes including viral infections. 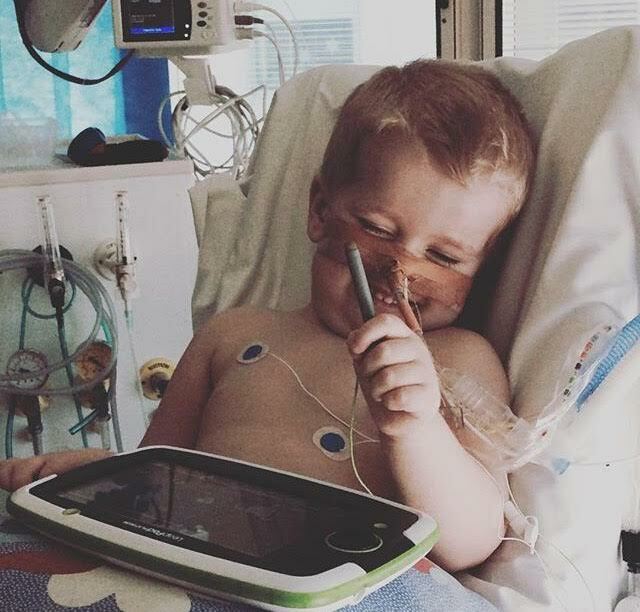 This disease has only been seen in Australia twice before Archie's diagnosis and his is the most severe case they have seen. 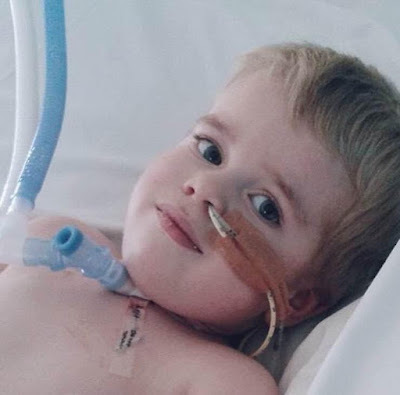 This disease has caused paralysis in Archie's right arm, both legs and his chest. Archie has been ventilated since his admission in November and only last week underwent a tracheotomy. There is currently no cure for Acute Flaccid Myelitis and therefore Doctor's are relying on information from around the world through other cases of this disease to work out a treatment plan. Anterior horn disease: Any of a group of diseases that affect the anterior horn cells which make up part of the spinal cord. The anterior horn contains motor neurons which primarily affect the axial muscles. With a long road ahead of him Archie has daily therapy sessions and is improving everyday!! With these 2 disease's being so rare it is unclear how long Archie's full recovery will take but it is expected to take months or years. Archie's parents Chloe and Alex have been by his side everyday and have recently had to return to work. 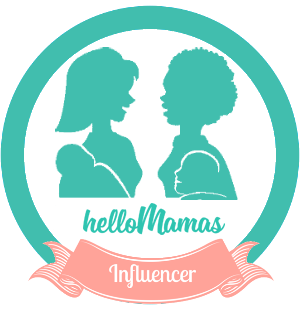 To make life a bit easier for them there will be an online auction in March with some amazing items from all of your favorite Instagram stores. Please head on over to support Archie's Fight on Instagram and keep an eye out for the upcoming auction on March 4th.